There is no political story,other than the State elections, that you could possibly be interested in today, but since I can say no more about these elections just now other than that they should be seen as a trailer for 2014, I am obliged to write about something else. Not any old thing either, but a subject that should be very important whether Narendra Modi becomes the prime minister or not. This is the Muslim question. Treat them as a Majority, not a minority! 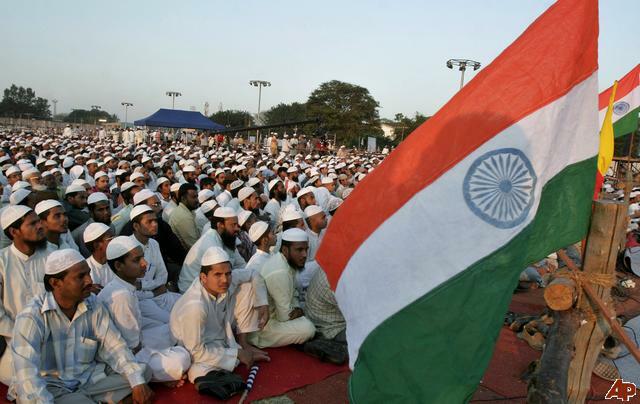 Is it time for us to stop seeing Indian Muslims as a wronged minority community and to start seeing them as the second largest majority community in a country like India instead? Is it time to start a new narrative by discussing whether Muslims have not been victims of a ‘secular’ idea that has served mostly to restrict them permanently? I believe that it is. And, a good time to start talking about these things is now when, in what could be the last session of this Lok Sabha, the government is going to try and ram through a communal violence Bill which will serve mostly to isolate the Muslim community even more and further divide India on religious lines. Having downloaded it before I sat down to write this piece and having trudged my way through all 56 pages of officialese, I can tell you that it offers neither more security during a communal riot or more succour. Except on paper. Its main objective is to create yet another layer of bureaucracy in the form of a national commission that will be controversial from day one because it has unnecessary powers to interfere in policing matters that should be the territory of state governments, and considering the political relationships between the two mainstream political parties, this is bound to hamper the Centre-State relationship when two enemy parties are concerned. The identity of complainants to the commission can be concealed, leaving huge room for political misuse against governments that do not share the same political views as the central government. Those who drafted this Bill have clearly never been in the middle of a communal riot or they would have noticed that it is not new laws we need but better implementation of the ones we already have. That is the base problem in India. Instead of implementing laws, whenever there is an issue, we make the laws extreme, and prone to misuse, instead of making them more implementable. If officials did their job properly when hostilities begin, there would be no violence. So the purpose of this new offering from Sonia Gandhi’s kitchen cabinet is merely to make Muslims believe once more in the Congress party, which is slowly losing steam in India. It would be a shame if Muslim leaders fall for this new trick because all that will happen is that the community will find itself once more insulated in a poor, deprived mentality that deprives them of what they really need. Like Indians of other faiths, what Muslims need are better schools and healthcare, better job opportunities and the chance to improve their living standards, not free sops and freebies keeping them well for 5 years. If they do not feel as angry about the absence of these things as Hindus and Sikhs do, it is because they have been misled into believing that Islam is in constant danger unless they vote for the Congress. This is one reason, if the exit polls are to be believed, they voted en masse against the BJP in all four states. Ever since Modi’s shadow began to loom over national politics, I have met educated, middle-class Muslims who have said to me in so many words that they fear that India will no longer be the same. They believe that Modi as prime minister will unleash upon Muslims the kind of treatment recommended by early RSS thinkers like Guru Golwalkar. In his writings, this bearded fanatic made clear that he admired the way in which Hitler dealt with the Jews. But what secular alarmists appear to forget is that they have no relevance in today’s India. If Modi so much as tried to unleash a wave of Hindutva fanaticism, he would quickly find himself jobless in our secular India today. They also fail to realise that though schemes can be divise, development cannot. Development is shared by all sections of society, and Modi is the poster boy of development. If it has to be his job to convince the Muslim community that they do not have reason to fear him, it is the job of Muslim leaders to start a new narrative. 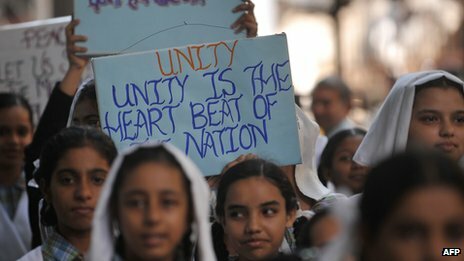 A community as powerful politically as the Muslims needs to stop once and for all thinking of itself as an aggrieved, endangered minority. And, it needs to do much, much more to try and deal with the real problems that ordinary Muslims face, like discrimination in matters of employment, harassment at the hands of the police, and apathy at the hands of officials. A good beginning would be to remember that this state of affairs exists despite the ‘secular’ Congress having ruled India for nearly all her years as an independent country. How do we explain this? How do we explain why utterly secular governments have allowed Muslims to remain ghetto-ised, poor and underprivileged for so long?